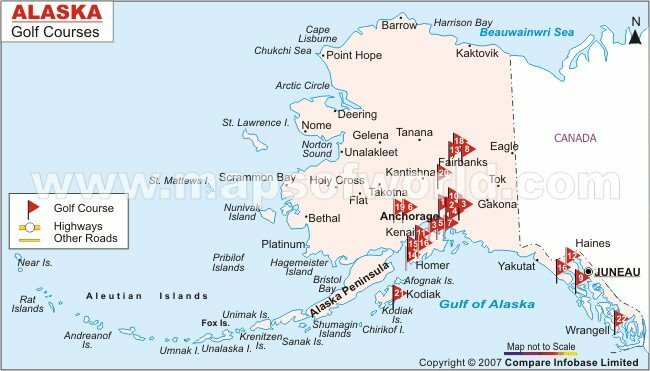 The Alaska Golf Courses Map highlights the geographical locations of various golf clubs around the state. Many boroughs, towns, and cities, such as Anchorage, Wrangell, Haines, Wasilla, Fairbanks, and Fort Wainwright, possess some of the popular and most-visited golf courses of Alaska. In addition to the courses listed above, the State of Alaska boasts several other golf courses that organize monthly and yearly tournaments.